Hot springs and their therapeutic uses have been touted for centuries. A first mention of hot springs found in Taiwan was noted in a 1697 manuscript. 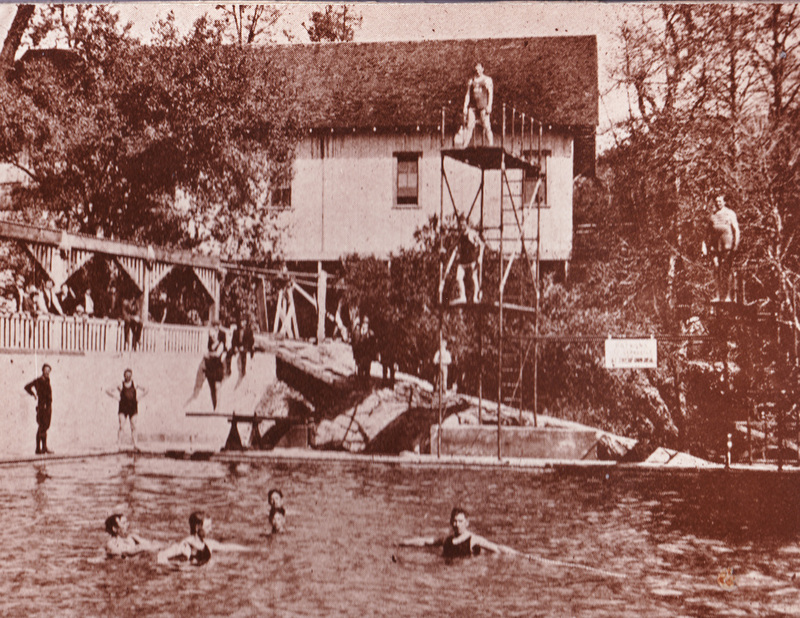 Development of a small local spa, however, did not take place there until the 1890’s. Likewise, a hot spring spa opened in Osaka, Japan during the same decade. Hot springs are found throughout the world. The definition varies, but most often is some version of a spring with water temperatures above the air temperature and/or average human body temperature. While many are a temperature safe to relax in, others may be too hot. Hot springs are geothermally warmed, or warmed by rocks heated by the Earth’s mantle. Those heated in active volcanic zones generally are the ones too hot for use. In addition to the warmth of the water relaxing the muscles, hot water dissolves more solids than cold, making hot springs higher in mineral content. Many believe in the medicinal values of these minerals in recovering from injuries, or reducing pain and inflammation of arthritis. Soaking in a hot spring can be wonderful therapy, for a number of reasons. The heat and subsequent sweating have a deep-cleansing effect on the skin, as well as the entire body-to-mind realm. Hot springs and their therapeutic properties have been written up in medical papers for decades. The use of water for various treatments (hydrotherapy) is probably as old as mankind. Hydrotherapy is one of the basic methods of treatment widely used in the system of natural medicine, which is also called as water therapy, aquatic therapy, pool therapy, and balneotherapy. Use of water in various forms and in various temperatures can produce different effects on different system of the body. Many studies/reviews reported the effects of hydrotherapy only on very few systems and there is lack of studies/reviews in reporting the evidence-based effects of hydrotherapy on various systems. We performed PubMed and PubMed central search to review relevant articles in English literature based on “effects of hydrotherapy/balneotherapy” on various systems of the body. Based on the available literature this review suggests that the hydrotherapy has a scientific evidence-based effect on various systems of the body. The report went on to reveal positive results of hydrotherapy on the cardiovascular system with an increase in blood flow, the muscular-skeletal system and the nervous system to name a few. In California, we are lucky to have several outlets of hot springs. Within the South Valley, California Hot Springs is a region named after its therapeutic springs – is a short distance and can be visited for a day, or longer. The area, first discovered by the Yokut Indians, was later founded by settlers in 1882, and developed as a health resort. The Yokuts would fill hollowed out logs to soak in, to relieve the pain of rheumatism caused by sleeping on the damp ground. 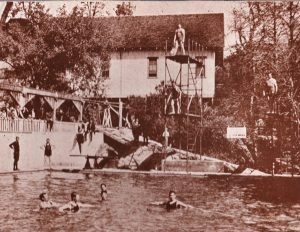 In 1902, a hotel was being built followed by a commercial center, swimming pool, and therapeutic area around the springs in 1920. Fires destroyed the hotel in the ‘30s and commercial center in 1968. Abandoned for years, restoration began in the mid ‘80s and the facilities were reopened with a pool, RV Park and hot springs-fed showers, and a main building with a breakfast and lunch delicatessen, and dining area. California Hot Springs Resort is open year-round. For more information, visit www.cahotsprings.com/index.html. Here there is also small boating and fishing on a pond with no license required. Barbecuing is available and Franklin Hot Springs is open into the evening hours. Overnight camping may be available, contact the facility for information. Visit franklinhotsprings.com/ for more. The area was first discovered by the Mono Indians, who later shared the location with visitors, while only accessible by horseback in the 1920’s. Water from the hot springs are now piped into a bathhouse for soaking tubs, showers and an outdoor mineral spa surrounded by breath-taking views. Massage therapy is also available. Other local activities include swimming, boating and kayaking, hiking, horseback riding and fly fishing with fishing guides available. While closed now, you can book for the 2018 season. For more information, visit www.monohotsprings.com/. Open year-round, but perhaps the best time to visit the Tecopa Hot Springs Resort, in Shoshone, is in the fall and winter, where the hot springs can ward off the winter chill. Just east of the southern end of Death Valley, this resort offers hot springs, cabins, a motel, camping and RV park, and weekend dinning. There are private soaking tubs in the motel and a bathhouse. Water temperatures range between 101F and 104F per health department regulations. Twenty-four hour access to soaking is available to guests utilizing camping or lodging with no extra charge. Day access to the facility is also available. While the therapeutic properties of hot springs have long been established, for those with any medical condition, it would be best to consult your doctor before you partake in utilizing a hot springs spa. With a green light, a visit to one of the many hot spring facilities throughout the state, or while on vacation elsewhere, would be well worth a try. You may just become a regular. For the past 20 years I had been taking allergy shots and they had helped to keep my lungs clear, but after moving across country and being tested by two separate allergists who said I didn’t have allergies, but chronic obstructive pulmonary disease (COPD) my allergy shots stopped. One and a half years ago I started sweating profusely, worse than during menopause. Water literally dripped off my face. Gradually it started to disappear. The less the sweating became, the more I became breathless until I was gasping for air walking across a room. My lungs started to fill up with mucus which eventually turned into pneumonia. I lost touch with reality.I started on Health Herbal Clinic COPD Herbal formula treatment in May 2017, i read alot of positive reviews on their success rate treating COPD disease through their Herbal formula and i immediately started on the treatment. Just 7 weeks into the Herbal formula treatment I had great improvements with MY breething ,I am unbelievably back on my feet again, this is a breakthrough for all COPD Patients, visit Health Herbal Clinic official website www. healthherbalclinic. net or email [email protected] healthherbalclinic. net. If you want treatment for Chronic obstructive pulmonary disease (COPD) kindly email [email protected] gmail. com because they helped my stepmother,she was at the point she almost lost her life because she was at the end stage,our doctor said the copd cannot be cured yet she still believed that something must be done,i decided to come on-line if there will be better solution so i met this health clinic on-line which i decided to give a try,i can assure you that my stepmother is fully free from copd disease with the herbal remedies they sent to me,please if there is anybody who is diagnosed do not hesitate to email them or if there is anybody that needs help kindly forward this testimony.